When thinking brings pleasure. When thinking brings pleasure? 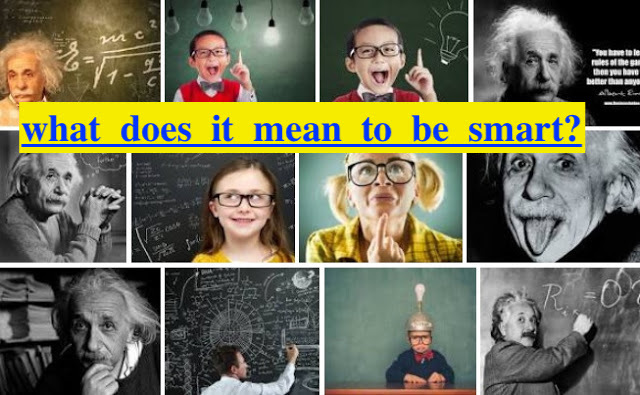 : What does it mean to be "smart?" This post is a continuation of "What Is So Special About Being s Scientists?" “That is a smart move”. We often say or hear similar statements. But what do we mean when we say something like that? What does word “smart” mean? Other dictionaries provide a very similar feedback. 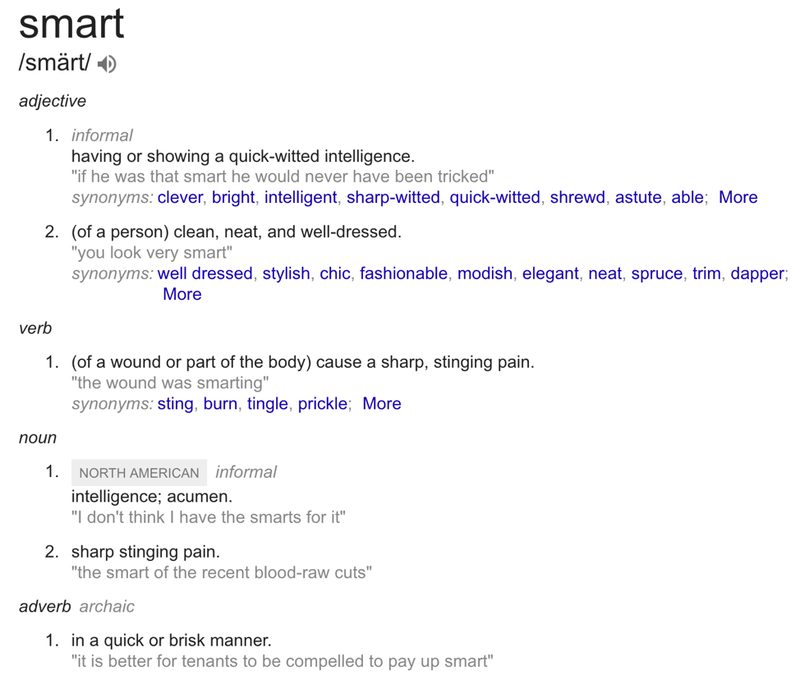 According to many sources, “smart” is the same as, or similar to “intelligent”, “clever”, shrewd”, “bright”. 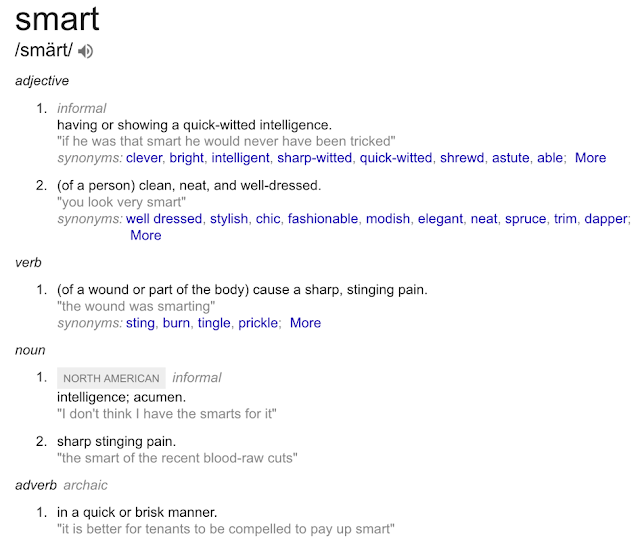 However, this information does not really help us to understand what does “smart” really mean. So, we need to dig deeper into our own practice. We often use this word when we need to describe a person who has some knowledge which we consider above the usual every-day knowledge, or who can do something which we consider not trivial. Hence, a smart person is the one who is being considered (described) as being smart by other people. Often, that person has been told face-to face: “you are smart”. you can read some of the student feedback). Should I believe what people say to me about me, or should I try to find other evidence? Being smart is often related to professional actions required as a part of a career, but needed when one has to do something beyond regular professional activities. For example, I believe that if I wouldn’t be smart I couldn’t start my professional career from scratch three times, and succeed every time. If I wouldn’t be smart I couldn’t learn a foreign language from books, radio and TV to the level sufficient to become a successful physics teacher. 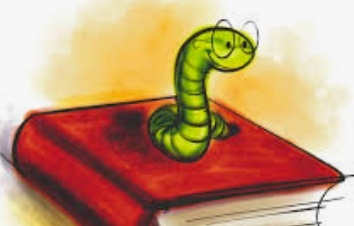 If I wouldn’t be smart I couldn’t write a book, or run this blog about educational practices. I know, that saying “I’m smart” may not sound right for other people. Bragging about being smart doesn't usually help finding friends, and may even repulse people. 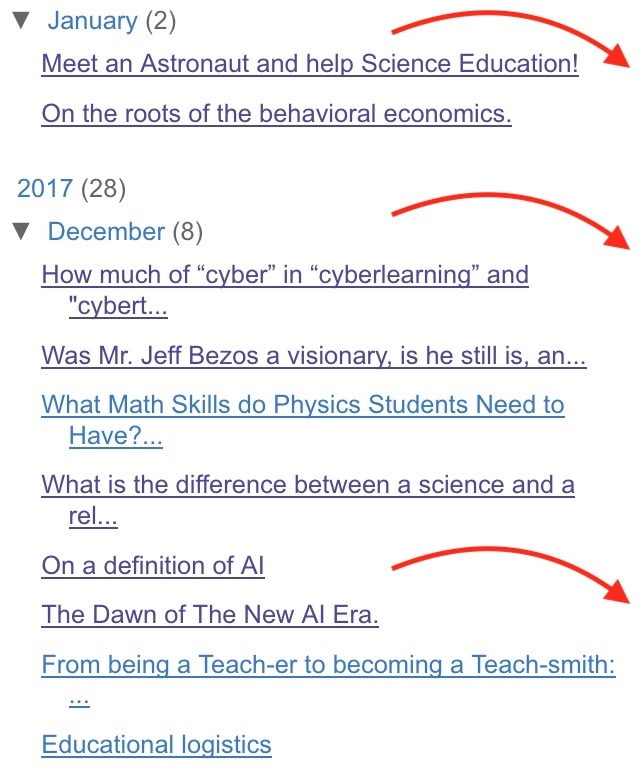 But, I firmly believe that the world needs more smart people (as a teacher I consider as one of my major goals showing students that everyone is smart, everyone has abilities "required" to be called "smart", and physics is one of the best subjects which helps boost those abilities). The world needs more geeks, and nerds, and smarty pants. Smart people deserve recognition as the important part of the society. 1. In the current political environment people who make smart political choices are in high demand. 2. Smart people know the difference between the news and fake news. 3. Smart people base actions on a reason, not just on emotions. 4. Smart people try to balance traditional values with innovations. 5. Being smart does not mean one knows everything. On the country, being smart means one knows the limits of one’s knowledge. 6. Being smart means being able to listen to other people without obsessing about differences, but focusing on the common grounds. 7. Smart people do not force everyone to agree with them, instead they just roll out their logic and let people to decide. 8. Smart people usually talk less, but ask a lot of questions. But they do that not to attack other people, but simply to avoid misunderstanding, to make sure that when people use the same words, they also imply the same meaning - which is not always a case! No one is born smart, but EVERYONE is born potentially smart. Healthy infants (99 % of population) may have slight deviations in the potential of smartness, but the actual level of being smart mostly depends on one and one thing only – LUCK! A good luck (when and where one was born, parents, friends, teachers) is mostly responsible for who one will become in his or her 20s (the rest will be up to him or her). For example (more in: https://www.smashwords.com/books/view/665204), since I was little my parents tried to teach me reading, chess, music; I have not become a chess master or a musician, but those lesson definitely help my brain development (and I have no responsibility for that – just was being lucky). Word “smart” has been hacked by people in the marketing. 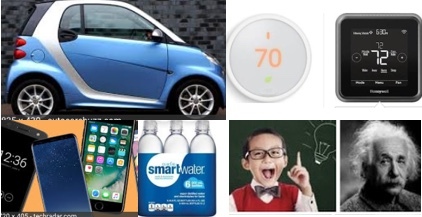 Nowadays, we have “smart cars”, “smart bulbs”, “smart water”, “smart thermostats”, “smart phones”, and more “smart things”. I think, what we really need today is “smart bars”. A merger between a book club, a debate team, and an open mike. Every big city needs at least one smart bar, so people who consider themselves smart could gather together and openly display their smartness without being ridiculed for being smart (a short video on the matter: https://youtu.be/ndqnsvPTkfE). Although, even now, after talking about what smart people do, or why are they important, we still have no definition/meaning of word “smart”. We already mentioned that in order to be considered as “smart” an action should be not trivial, not obvious. That happens usually when someone does not know what to do (to achieve a certain goal), but then that someone comes up with an idea which initially was not on the surface (was not obvious). We may say that: “One had a problem, and one found the solution”. Word “find”, however, is not the best word to describe what happened. “Find the solution” sounds like someone was looking around, literally searching for something (a book, a box, a letter, a drawer) with word “solution” on it (“Did you look under the table?”). 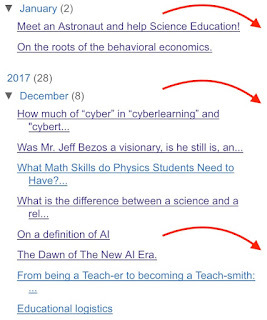 Of course, this type of a search does not happen in a real space, but in a space of ideas, statements, texts (for example, browsing through a library, encyclopedia, the Internet), and may require some time and effort, but the solution found as the result of that search is not usually called “smart”. However, historically, if, instead of using a library or the Internet, a person finds the solution via browsing through the memory (Jeopardy players), that person is considered as “smart”. This is an interesting contradiction: when one searchers outside of his or her brain and finds the solution – he or she is not smart; but when one searchers inside of his or her brain and finds the solution – he or she is called “smart”. To resolve this contradiction, we would have to call people smart (or not) independently of where did they search for the solution – no matter if the search happened inside or outside of their brain. If a person finds the solution stored in his or her memory due to the search inside his or her brain, I would not call that person “smart” but “knowledgeable” (a.k.a. erudite). The amount of searchable information stored in the memory becomes the parameter of “knowledgeability” (erudition), but not “smartness”. A very difference case - if there was a problem, and the solution was "found", but not via a search and selection from previously existing options (inside or outside a brain), that means the solution was created! And if that previously non-excited and “manually” created solution does not look obvious, is not trivial – then we call it “smart”, and the person who came up with it should also be called “smart”. This interpretation of “smart” makes it basically equivalent with “intelligent”, when “ intelligence” is understood as “ability to create solutions to problems which have never been solved before” (© Valentin Voroshilov, 2017; http://www.cognisity.how/2017/12/AIdef.html). In this interpretation, “smart” is not related to the amount of knowledge one has stored in his or her memory, but with the ability to use the knowledge to create new knowledge (which can be used in form of certain actions). 1. Not every knowledgeable person is smart. 2. Not every smart person is knowledgeable. Knowledgeable people are the basis of a society, they are responsible for a stable functioning, they preserve existing traditions, and sometimes they may object even progressive changes. Smart people are the agents of change, they can challenge established views and traditions, but sometimes they push for a change just for the sake of the change. Of course, ideally, one should be both – smart and knowledgeable. In conclusions, we can define a “smart person” as a “problem solver” (“a solution creator”). 4. Can explain to others 1, 2, and 3. The more difficult, less trivial problem one can solve by creating the solution, the higher the level of “smartness” of that person.